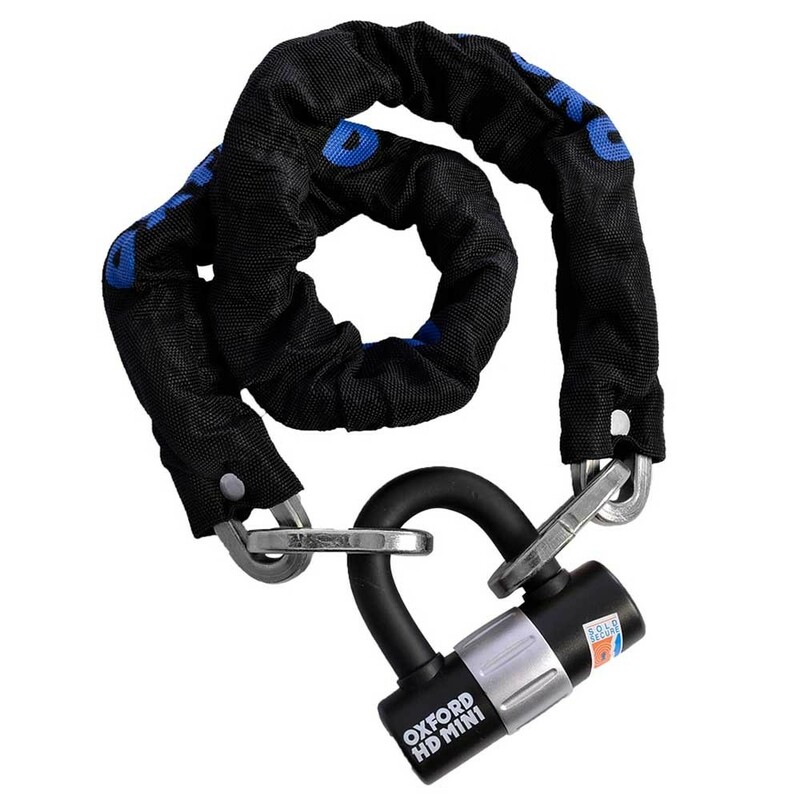 Heavy Duty Chain and Padlock. Hardened 9.5mm square link chain. Tough double locking padlock with hardened steel shackle which doubles as a disc lock. Key replacement service. Key dust cover. Sold Secure Motor Scooter Silver and Sold Secure Pedal Cycle Gold approved.